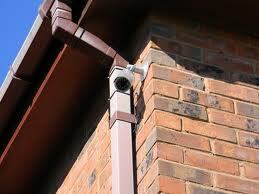 CCTV systems have countless uses and benefits, and being installed in the home or small business is no exception. With the growing concern of security, a CCTV system enables you to keep a permanent third eye on your home or business when you are away, giving you peace of mind that your premises are being watched over. In addition, due to the wide spread of smart phones and mobile internet access, you can access your CCTV system from anywhere in the world to ensure that all is well, any time, any where. Real-time viewing e.g, monitoring people approaching the front door or viewing the office reception whilst it is unmanned. Motion detection e.g, not only can this function alert you upon the detection of movement, but can also be used to save valuable space on hard drives enabling prolonged recording and superior recording quality. Lynx Electrical and Security offer an extensive range of CCTV products specifically designed to suit home and small business installations. The equipment we offer is high quality and tested to British Standards without complex and expensive features which are rarely used in home or small business applications. This means that we can offer you the best in quality and functionality whilst maintaining some of the most competitive rates in the region.